Zelda Wind Waker grabbed my imagination the very first time I saw it many, many years ago now on a Gamecube in somebody else’s lounge room. Now, by the power of modern computing, I have been sharing the joy and frustration of this adorable game with my sons. Intermittent play has gotten us almost to the end after a few months now. I also now have two of three Zelda inspired projects complete and ready to share. The first is the newest one, Link’s boomerang (the protagonist is Link, Zelda is the eponymous princess). This was given to F for Christmas and was designed specifically to be light enough for indoor play as outdoors it is very likely to end up in a tree or on the roof. 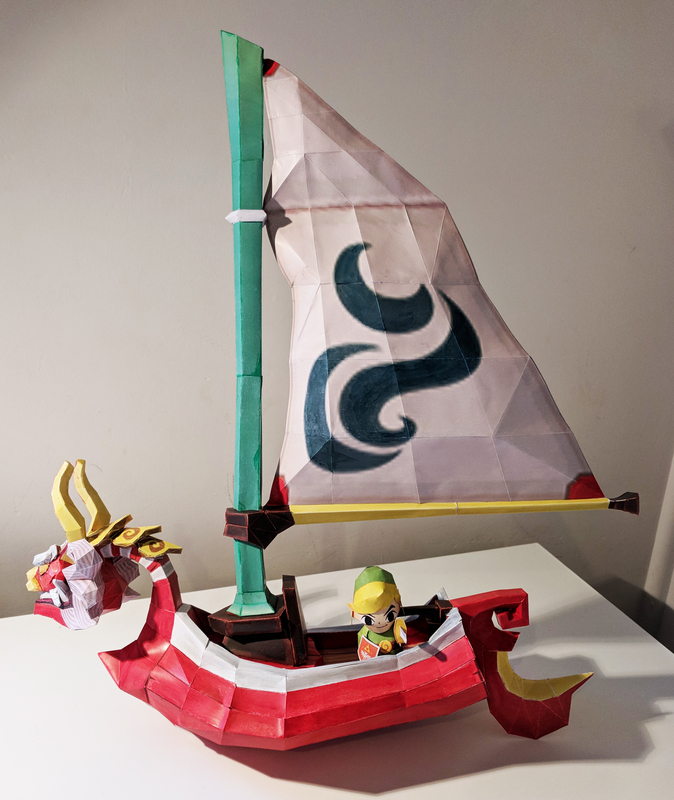 The second is this papercraft model of the Link’s boat the ‘King of Red Lions’ This took way longer than anticipated and is far from the perfection I envisioned. But it is at least done. I have shared a gallery of images here on imgur and in r/papercraft here.